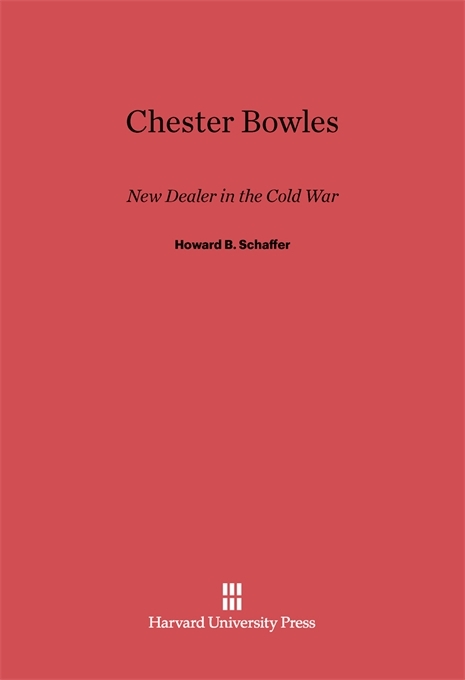 When Harry Truman named him ambassador to India in 1951, Chester Bowles was already a prominent figure in American public life a onetime advertising mogul, wartime administrator, governor of Connecticut and yet his past hardly presaged the turn his path would take in Asia. Over the next two decades, at home and abroad, Bowles would become one of the leading liberal lights in American foreign policy, a New Dealer destined to be at odds with the stiffening cold war conservatism of his time. His biography is also the story of America finding its place in a changing world, a story of remarkable relevance to our own post-cold war era. Howard Schaffer, a former ambassador and seasoned Foreign Service officer, worked closely with Bowles in India and Washington and is able to offer a colorful firsthand portrayal of the man, as well as an insider’s view of American foreign policy in the making. Bowles’s indefatigable energy, inspired idealism, and humanitarian instincts leave their mark on these pages—as do his stubbornness, his cultural blinders, and his failure to master the game of bureaucratic politics. We see him in his sometimes exhilarating and ultimately frustrating struggle to influence the leaders and policymakers of his day—as twice ambassador to India, Democratic party foreign policy spokesman, congressman from Connecticut, foreign policy adviser to John F. Kennedy, undersecretary to Dean Rusk at the State Department, and President Kennedy’s special adviser on Africa, Asia, and Latin America. 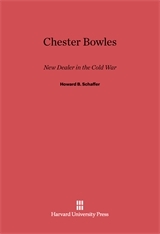 Drawing on a wealth of documents and interviews with some of the nation’s top foreign policy makers in the post–World War II years, Schaffer shows us Bowles in his tireless attempt to advance an alternative approach to international relations during those decades, an approach defined less in military than in economic terms, focused less on the struggle for power with the Soviet Union in Europe than on the contest with China over the fate of Third World countries. “Only the historians can determine who was right and who was wrong,” Dean Rusk once said of Bowles’s ideas and convictions—and today history itself is writing the last word.